Keeping the kids occupied throughout the lazy, hazy summer months can pose some challenges. We all know how the attention spans of the youth are; one minute they can be fully engaged in an activity, and the next minute dramatically declare they’ve never been so bored in their entire lives. Luckily, there is no shortage of things to do in Kalispell to keep the kids- and the adults- having fun and enjoying the summertime ahead. We’ve rounded up some of the top Kalispell attractions for families to check out and keep the kids occupied and enthused over their summer breaks! Visit Glacier National Park. 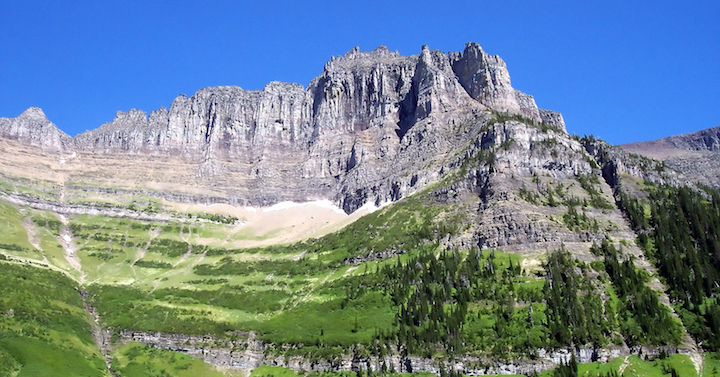 A true gem of Montana, Glacier National Park is located just 45 minutes outside of Kalispell. From hiking, biking, taking a guided tour, fishing, boating and camping, there’s such an amazing variety of family-oriented activities to enjoy. Make sure to plan on driving along the Going-to-the-Sun Road, which connects the east and west sides through the middle of the park – it’s known as a quintessential part of any visit. Head to Flathead Lake State Park. For those days when the kids need to beat the heat, head to Big Arm, located on Flathead Lake, the largest natural freshwater lake in the western United States. You’ll find a long, pebble beach just perfect for mom and dad to enjoy sunbathing while the kids enjoying swimming in the refreshing waters. Plus, there’s plenty of other things to do in the park, like picnicking, hiking, fishing, wildlife viewing and even scuba diving! Take a riding lesson at Bowser Creek Farm. Do the kids need a new hobby, by chance? Bowser Creek Farm offers horseback riding lessons for beginners and seasoned equestrians alike. Go horseback riding along the High Country Trails. If and when your family gets comfortable on the back of a horse, take them on a guided tour of the High Country Trails, located just six miles southwest of Kalispell in the heart of the Flathead Valley. Along the tour of the 800-acre family ranch you’ll find countless opportunities to take photos of wildlife, nature and the panoramic views of the majestic Rocky Mountains. Cool down at Woodland Water Park. The 2017 season at Woodland Water Park starts on June 10 and runs through August 20. Not only can the family enjoy a day of splashing in the pools, floating along the lazy river, and sliding down the two water slides, but the park also offers swimming lessons to children of all ages. Learn some local history at the Museum at Central School. Since opening in 1984, the Museum at Central School helps preserve and present local history to residents and visitors of the area. The school operated for almost 100 years, serving as a high school, junior high, grade school and housed classes for Flathead Valley Community College. Exhibitions include historic items and photographs from FVCC’s five decades, plus historic films and more. Enjoy some sweet treats at Norm’s News. Norm’s News has been a Kalispell staple since 1938, and stepping into the restaurant is like stepping back into the 1950s. Part soda shop, part candy shop and part magazine store, you can also enjoy burgers, fries and ice cream – even phosphates! No matter how much Kalispell grows and changes, Norm’s will be there, offering a gathering place and classic diner fare for all families to enjoy. Enjoy living life to the fullest and a variety of new adventures waiting to be had at Immanuel Lutheran Communities, offering vibrant senior living in Kalispell. From gracious, comfortable independent living options to the assistance you need with daily activities, you’ll feel right at home with our staff that treats you like family. Contact us today to schedule a personal tour.